Grandmaster Javier Galan Vazquez, 10 dan Hanshi, is the new President of the EJJU (European JuJitsu/ JuJitsu Union) and of the IJJF (International JuJitsu Federation). Born in Madrid, Spain, at the end of the 1940s, Francisco Javier Galan Vazquez, began practising martial arts in 1962 with Kodokan judo, at a time at which judo was the only martial art allowed in Spain. His instructor was Takeda Sensei, Soke of the Takeda family. Thereafter, other martial arts having been introduced in Spain, he practised hapkido and karate Shito Ryu. He becomes university champion of Judo and self-defence. After this, he went to the United Kingdom and benefited from there from intensive training in a multitude of martial arts, and he participated in a great number of training courses. 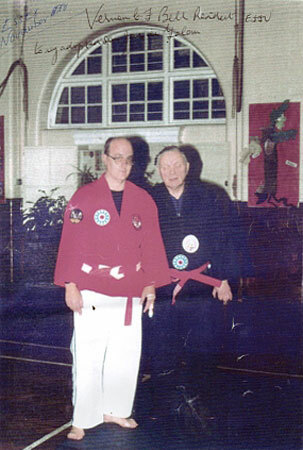 During this time, he found, in his own words, ’his teacher and guide, Dr Vernon C F Bell, the father of British karate. Dr Galan Vasquez has been practising martial arts for 40 years and is highly appreciated and known for his loyalty and for his honesty. Currently he is President and international oordinator, in charge of the world affairs for the EJJU (European Jujitsu/Jujutsu Union) and the IJJU (International Jujitsu Union). Vice-president of the «Japanese Seibukan Academy - All Japan Budo Federation» (Kyoto) and of Nihon Buguel (Okinawa), and European representative of «Hikari Ryuza Ryu C Kan® ». Soke 10th dan of Kaizen Ryu Aiki Ju-Jutsu. Elite member of the World Butokukai Institute (WBI), chaired by Grandmaster Stefano Surace, and representative of this organization for Spain. 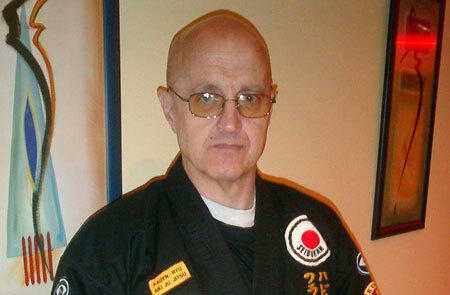 Elite member of Hanshi No Iinkai. Honorary member of Hikari Ryuza Ryu Yudansha Kai®. Member of the Hall of Fame of the USJJA (United States Jiu Jitsu Alliance). Dr. Galan has more than 30 years of experience in the security services and is associated with countless organizations of international security and teaches combat techniques to the special forces of the United Kingdom, Romania, Bulgaria, Hungary, Russia, Ukraine, and naturally of his country, Spain. The «All Japan Budo Federation», Kyoto, awarded him a Doctorate in Budo to him, in addition to his degrees in economics, English language. He also holds an M.B.A.
Dr. Galan, who makes a point of declaring himself a disciple of Grandmaster Stefano Surace, is highly appreciated and respected throughout the world for his knowledge, his qualifications and his professionalism.